The San Francisco 49ers received relatively good news after watching three starters go down with injuries in their preseason opener against the Dallas Cowboys on Thursday night. 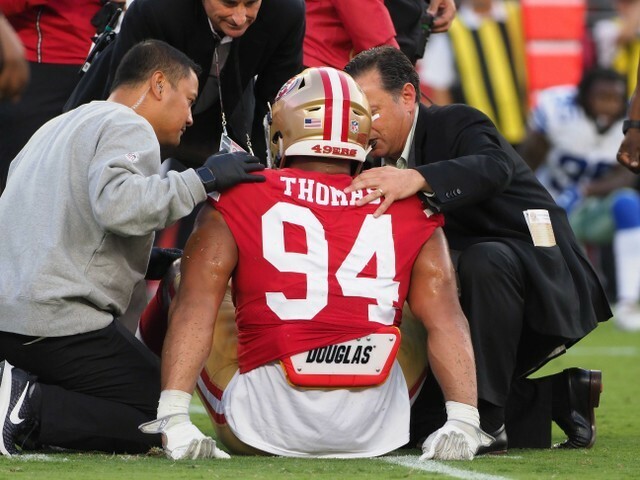 Linebacker Malcolm Smith returned to the sideline with an injured hamstring, while defensive end Solomon Thomas (head) and tight end George Kittle (shoulder) went back to the locker room in the first quarter for observation. All are expected to be available for Week 1 of the regular season, according to coach Kyle Shanahan. Backup running back Matt Breida also suffered a first-quarter shoulder injury. He and Kittle will miss the remainder of the preseason. 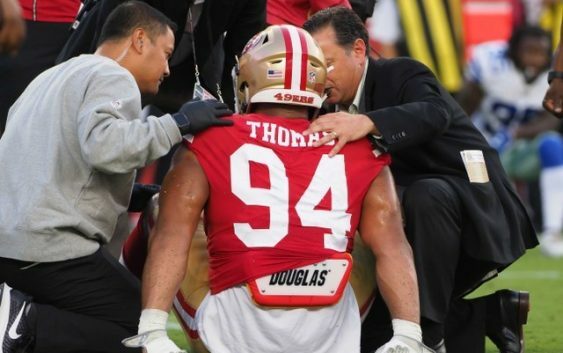 The shoulder injuries initially had Shanahan concerned, according to ESPN’s Adam Schefter. Thomas was reportedly inadvertently kicked in the face with a cleat and ruled out of returning to the game.